The first half of the 1990s was an era of few highlights for City fans. Starting off with relegation to the third tier, the early 90s were punctuated by a manager who failed to connect with the fans (the detested John Docherty), poor football (again, see J. Docherty), a couple of unrequited flirtations with the edge of the play offs and little of note. The year-on-year progress from the 1980/81 season to the 1987/88 season was already a distant memory and it was easy to think that City had reverted to their natural level and the “nearly season” was as good at it would ever get. Enough happened in the second half of the 1990s at Valley Parade to justify a book. Therefore, rather than a full narrative, I’ll focus on a number of key dates. The genesis of the second era of Bantam Progressivism can be traced to one event – the day that one Geoffrey Richmond walked into Valley Parade. Richmond came from a background of some success at Scarborough – taking control of them soon after they were promoted to the Football League and being somewhat of an innovator on the commercial side of things (Scarborough having one of the first stadium naming deals and a controversial shirt sponsorship deal with Black Death Vodka). 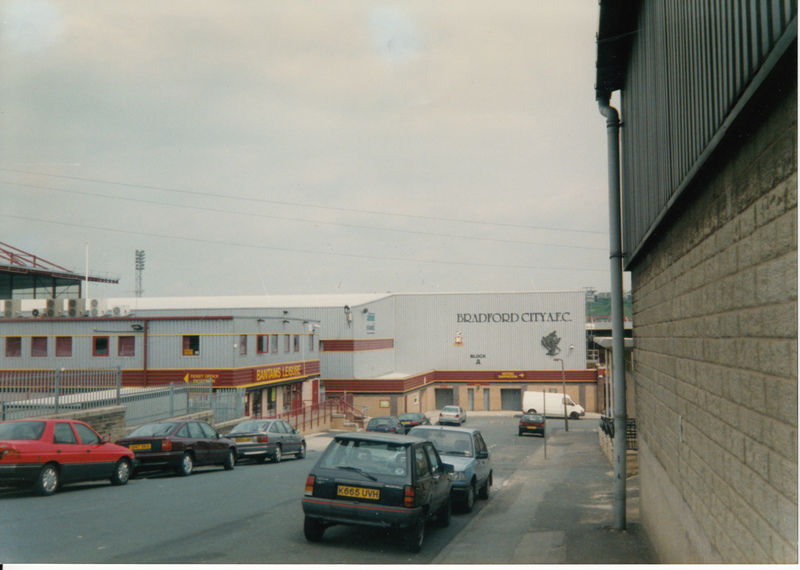 However, the east-coast side were not big enough for Geoffrey’s ambitions and so an unusual “Chairman swap” was engineered with City’s Dave Simpson going in the opposite direction (though some continuity was maintained at Valley Parade with vice-chairman David Thompson remaining on the board for much of the Richmond era). Richmond came in like a whirlwind. The matchday programme from Richmond’s first home game in charge (vs Hartlepool United) shows a real optimism around the club. Chris Cooper talked about a “feeling that Bradford City is about to enter a new era”and manager Frank Stapleton pragmatically mentioned that “the pressure of the overdraft has now been lifted from the Club and we can now look the future with added optimism”. “I wouldn’t have accepted the position as Chairman nor would I have been prepared to invest a considerable amount of money in the Club unless I felt we can move the Club forward to eventually gain its place in the top flight of English football. “My message today is that this is the start of a new era, if we all pull in the same direction, we can conquer the World. United we stand, divided we fall, let’s go forward together”. The first giant leap of the Richmond plan to conquer the World. 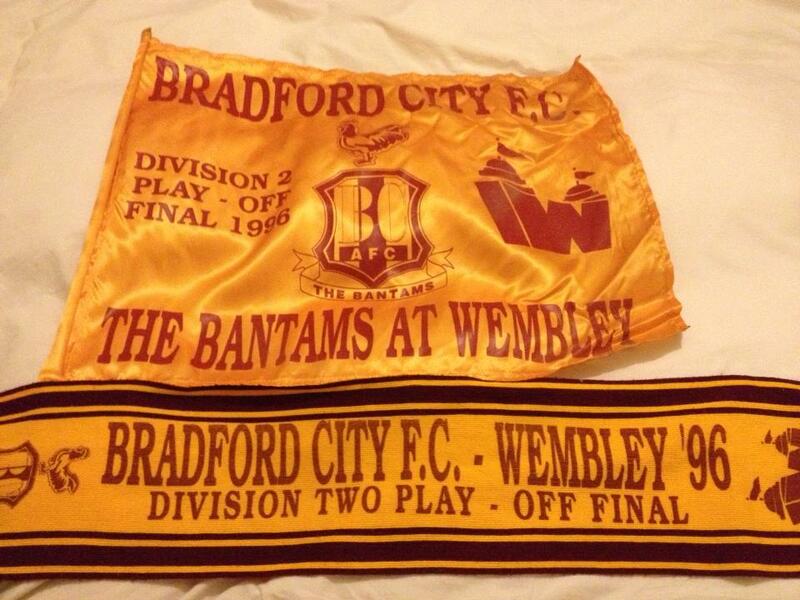 Our Bradford City playing (and winning) at Wembley, a ground previously known to us from the safe distance of watching internationals and cup finals on the television. A Wembley that, in those days, was still recognisable as the theatre of 1966 and all that; of Polish goalkeeping heroes; crossbar-breaking Scotland fans; Beasant’s penalty save and plenty of other iconic footballing moments. By this time, two and a bit years in as chairman, Geoffrey was already on his third manager. Frank Stapleton had been seen as not enough of a Stakhanovite for the chairman’s liking and his replacement, Lennie Lawrence, had failed to recreate the success he had brought to Charlton and Middlesbrough. Richmond therefore looked inside the Club for his next manager and so Chris Kamara was given the opportunity. Kamara had been Lawrence’s assistant and no doubt was seen as a cheap, potentially interim option. Kamara’s City stayed around the “on the edge of but not quite in the play offs” zone for much of the season but a run of nine wins in the last thirteen matches (including a tempestuous final game of the season at Hull City) saw City clinch the last play off spot. Plenty has been written about the play off semi-finals and the comeback victory against Blackpool is the stuff of City legend (and the stuff of nightmares for then Blackpool boss Sam Allardyce). And so onto Wembley. Almost 30,000 fans made the trip, with Leicester Forest services becoming a sea of claret and amber on the way down. A more comfortable play off victory would be hard to imagine (well, not for at least another 17 years anyway). City fans were given their own iconic moment with Des Hamilton’s jinking, stumbling run into the box to make it one-nil (commentator John Helm describing it as “one of the most famous goals in Bradford City’s history”) and Mark Stallard later making sure of the victory after good work from that veteran of the nearly season, Ian Ormondroyd. When captain Eddie Youds lifted the play off trophy, this heralded not just a promotion but ultimately a change in the attitude of the club. In some ways, this could be seen as a cathartic experience for the club – the ever-excellent Jim Greenhalf of the Telegraph and Argus said, “This was the resurrection of happiness which, just over 11 years ago, was unexpectedly and cruelly killed by fire on the very day that the club and its supporters were celebrating the old Third Division Championship”. No doubt the day put to bed some of the demons of the 1987/88 season, too. It was a real “blink and you’ll miss it season” – the recently introduced “Bosman Rule” meant that Kamara was able to use 42 players over the course of the season. Some (such as Jari Vanhala, Erik Regtop and Magnuss Pehrsonn) were Bantams for fleeting periods but there were also some more significant additions to the squad (such as John Dreyer, Nigel Pepper, Rob Steiner and Robbie Blake). A word or two about Christopher Roland Waddle. Given what has happened in the twenty years since then, it is difficult to put into words what a major event his signing felt like. This was a player who had played in an FA Cup final, a Champions League Final, a World Cup Semi-final. He’d even been on Top of the Pops. To sign such a well known player was a real boost to the status of the Club. From an entertainment point of view, Waddle didn’t disappoint, weighing in with six goals (including memorable goals against Huddersfield and Everton). He was the catalyst for the club’s FA Cup run, even telling BBC’s Football Focus that he’d had a dream that he would win the FA Cup as an old player. Sadly, it wasn’t to be, the FA Cup run cruelly coming to an end via a Nicky Mohan own goal against Waddle’s old club, Sheffield Wednesday. However, for all of the entertainment, Waddle’s presence didn’t really lift the Club far from the danger of relegation and when he departed to Sunderland, he left a Club still in real danger of falling back into Division Two. City went into the last week of the season in the final relegation spot but with two games to play. The first of those games was on election night against Charlton Athletic. Thankfully, at Valley Parade the national trend was bucked and the red team were defeated. A swing to City meant that their fate was in their own hands and, provided that they matched or bettered Grimsby Town’s result on the final day of the season, they would stay up. Sunday 4 May saw the Sky TV cameras at Valley Parade for the match versus a Queens Park Rangers team who had just missed out on the play-offs. Whilst the wait for the match may have been tense, City ran out comfortable winners to the tune of 3-0, with Nigel Pepper’s piledriver of a free-kick writing itself into City folklore. The mention of money in the bank is interesting from the point of view of the sponsors of that QPR match. The programme tells us “Our match sponsors today are Filtronic Limited. David Rhodes and his son Julian have been staunch supporters of Bradford City Football Club for many years”. By the start of the next season, Julian Rhodes had moved from sponsor to director and his father followed suit a year later. City would go on to “do a Barnsley” but it would be without Kamara. A magical day. Probably the greatest match I have been at. 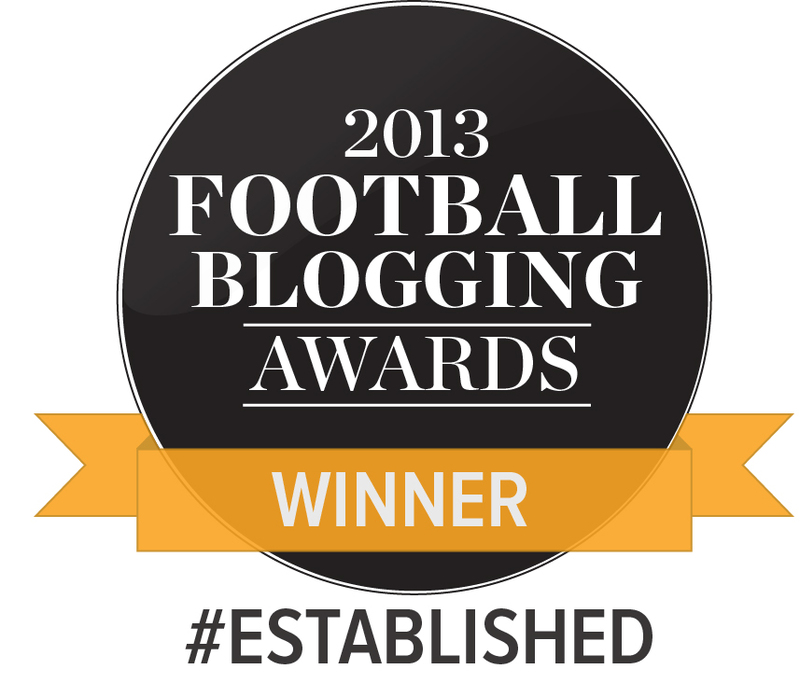 The culmination of a fantastic season. Pre-season for 1998/99 saw the Club in bullish mood. The previous season had ended disappointingly and the appointment of Paul Jewell as manager after Kamara had failed to sustain a good start to the season had not particularly fired up the supporters’ enthusiasm (albeit one future Width of a Post writer did call it as a good appointment). However, pre-season “business” did lift the mood considerably, with the return of Stuart McCall to the Club and the momentous news on the eve of the season that City had paid £1,000,000 for Lee Mills (the season’s big spending bankrolled by the Rhodes family). In spite of all of that, it was a torrid start to the season. Early results were poor and there were some who thought that Jewell would quickly make way for McCall to be appointed as manager. City took five league games to get their first league win (against Birmingham) but it was mid-September before things really started to click, with City winning five matches on the trot. This run included the amazing victory against Barnsley, with sub Gordon Watson unleashing 18 months of frustration with two goals in the last three minutes of the match to win the match.. The momentum just grew from there. By the end of the year, City were fourth and by mid-January second. They didn’t drop lower than third for the rest of the season. With a Niall Quinn and Kevin Phillips inspired Sunderland imperious in first spot, second spot turned into a two-horse race between City and Ipswich. In the penultimate match of the season against Oxford, City had almost handed the initiative to Ipswich by only managing a goalless draw. Stuart McCall put a header over the bar late on and, as the fans trudged away from the ground, there was a feeling that we might fall at the final hurdle yet again. However, Ipswich lost against Birmingham the following day meaning that a win on the final day at Wolves would see City over the line. So back to 9 May 1999. I had spent the weekend in Wolverhampton, with a Wolves supporting university friend. Aside from a night out, the highlight of the day before the match had been watching reports on Soccer Saturday about Carlisle’s goalkeeper Jimmy Glass scoring in injury time to keep his club up and send Scarborough down. The match itself was a tense, nervous blur. Wolves, still having an outside chance of making the play-offs, went ahead. Some typical magic from Peter Beagrie saw City level and by half-time Lee Mills had put City in front. In the second half, Wolves put on the pressure but it was City who increased their lead, a trademark Robbie Blake goal resulting from a Lee Mills lay-off. Not long after the missed penalty, the two goal lead was reduced to one. Then came the make or break moment – Wolves got a free kick outside of the City area, Paul Simpson stepped up and I closed my eyes… The free kick beat Gary Walsh but thankfully the width of a post saved City (and gave this website its name). City held on for what seemed like an eternity and the final whistle prompted wild, wild celebrations. Even having to get back into a car full of miserable but grudgingly complimentary Wolves fans couldn’t put a dampener on my mood. That first season in the Premiership was a real adventure. 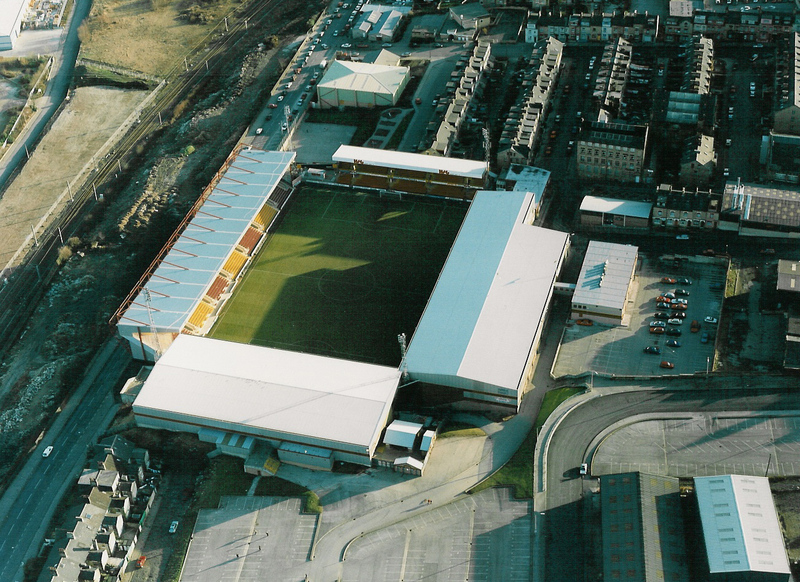 The increased media coverage (I remember the excitement of first seeing City in the opening credits of Match of the Day), the thought of world class players coming to Valley Parade, the pride that we felt in our Club – all of these were things for us to savour. We expected a season of struggle and in reality, finishing one place above the relegation zone was always the realistic aim. However, there were still plenty of highlights, especially at Valley Parade. Wins against the likes of Newcastle, Leicester and Arsenal and draws against Sheffield Wednesday, Tottenham and Chelsea were high points. The Good Friday 4-4 draw against Derby was one of the most thrilling draws that I have seen. City’s team were labelled Dads’ Army by some, with the likes of McCall, Beagrie, John Dreyer, Dean Saunders, Neil Redfearn and Gunnar Halle in the team. However, City didn’t panic and still left themselves with a chance of staying up come the end of the season. A surprise Easter Monday win at Sunderland was followed up with a vital home win against relegation rivals Wimbledon. Wimbledon were in self destruct mode, not helped by a misguidedly aggressive John Hartson getting sent off. City had a setback with a 3-0 loss away at Leicester and so went into the last game of the season on 14 May 2000 with the galling task of needing a win against Liverpool. City were level on points with Wimbledon but on an inferior goal difference. Liverpool needed to win to clinch Champions League football. David Wetherall scored a first half header for City and we somehow managed to hold on for the rest of the match. News filtered through that Wimbledon were taking a pasting away at Southampton and so City had done the job. I’m not sure I have known Valley Parade to be nosier than in the closing stages of that Liverpool game. The fact that we had beaten a team like Liverpool showed how far the club had come in such a short space of time. When Geoffrey Richmond became chairman in January 1994, City were tenth in the third flight and Liverpool were fourth in the top flight. The idea of City being in the same division and beating them only six years later was barely credible. There was somewhat of feeling that by staying up that first season, we had done the difficult part and that we would kick on from there. However, this was really as good as it got. The next season started with optimism and big money signings. However, the early season victory against Chelsea (still one of the best City performances I have ever seen) turned out to be a last hurrah, rather than another new dawn. As I said at the start of this article, this wasn’t intended to be a blow by blow account of this period. I’ve not mentioned plenty of events and players (for example Wayne Jacobs deserves particular praise for being there and playing a key part in most of the above). It would therefore be interesting to hear readers’ memories, highlights and favourite characters of that astounding era. What a time to be a City fan. As someone who’s first game was in 1994 I can somewhat consider myself to be a child of this era. Although my dad had been going since the 70s and I’d have probably ended up spending Saturday afternoons at VP at some point anyway, I still think that the “Richmond Buzz” and this second period of Bantam Progressivism did so much to attract younger supporters to the club, culminating of course in top end championship and then premiership football with crowds to match. I often look around vp now and did more so when we were struggling in league two, and wonder how many of those supporters who were attracted to the club during that era are or were still attending games during the tough times. When you were new to the club it was easy to consider those hefty times to be the norm and even now I think it goes somewhat to instilling the belief in many of us that the championship is our rightful place. Whatever happens to city or to me in the coming years and whatever happened during our decline, those memories created in the later part of the 90s were absolutely magical. I’ve often said that those two seasons 1998-2000 were the pinnacle for any city supporter and I don’t know if we will or even if if want to experience them again. We were privileged to witness those moments and they will live with me forever. It was a special special time. It really is difficult to comprehend now or describe to those who didn’t experience it just what it was like. Well written and researched piece Kieran. City really did move on to a different level in this era. Although not my favourate period watching City 81 to 88 was mine. However this era was totally unexpected given what had trandspired on the pitch from 90 to 94 which was very little and was a depressing time to follow the club. The low point been the diamond patterned claret and amber home shirts. Blue away. Highlights for me was VP been transformed from a 3 sided ground into a real stadium with 18k capacity. For all Richmonds short comings and autocraric style he delivered what he promised top flight football but at a terrible cost to the clubs in the oroceeding years. The first Wembley visit followed by an absolute legend signing and the most skillful player I’ve ever seen in a City Shirt namely Chrissy Waddle. The million pound player quickly follwowed by a second, promotion to the PL, survival and the following season European football. Unrivalled and heady times to follow the club. Got to mention Rodney Marsh when he was still relevant. Saying we wouldn’t stay up and if we did he would have his head shaved. Loved this article. It was during second era of Bantam Progressivism that I was completed hooked into City. 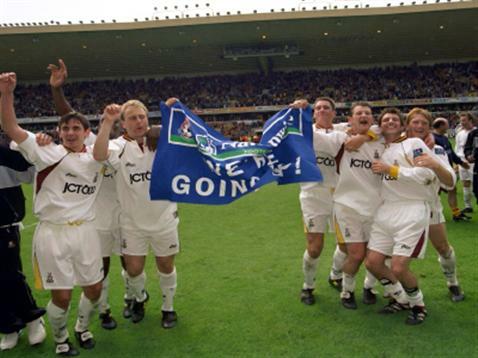 I still recall the awe I had when we played Sheff Wed in front on nearly 18k at VP in 97. Now, this is the norm but back in the 90s that was unreal attendance considering only a few years before we were playing infront of crowds 6k. Also dont forget us beating Forest away over 2 legs (95) and playing Wednesday in 94 which were both big events for us City fans. Which I also associate to this era. Agree watching Waddle play for us was unreal. I think I watched him at Charlton away on his debut (could be wrong) and we won. Also loved the period as we had proper a derby each year vs Udders. Had some right humdingers with them. Great period being a City fan. 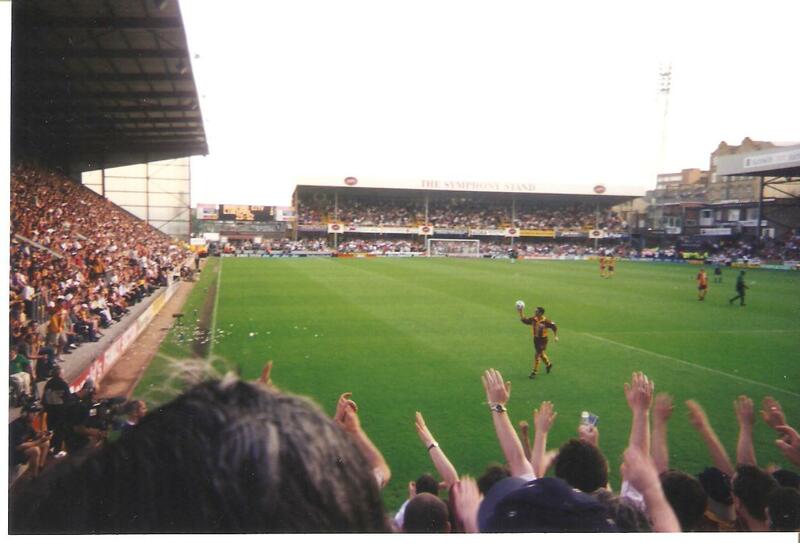 Mark Schwarzer’s debut away at Charlton 1996/97. He came running over to the away fans and chucked his gloves into our end at full time. Waddle scored a chip and I’m sure it was our 1st away win that season! Edinho’s dance after scoring the winner at Oldham the same season was quality too!